Our Family has been Serving Chelsea and Greater Boston for Over 40 Years. 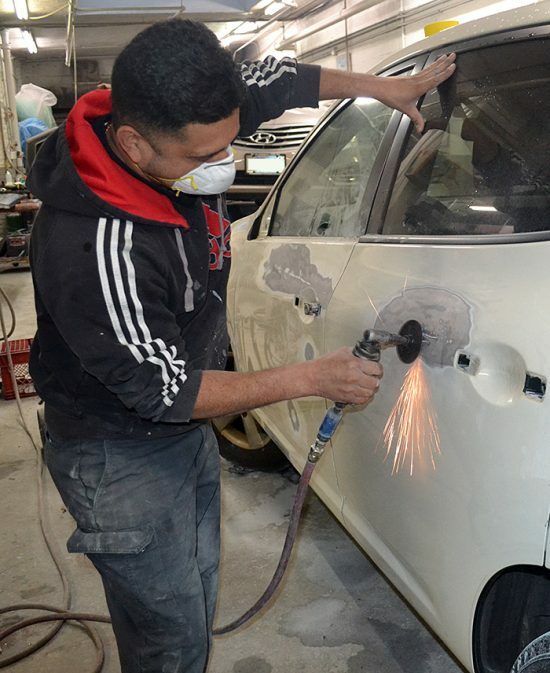 "Eastern Ave Auto Body is my go-to collision repair shop. Gerry and the crew have never disappointed. I've brought over some heavily damaged cars over the years and every one of them came back perfect!" I Love Eastern Ave Auto Body! Great job every time with no grief ever. I tore my bumper off recently in a parking lot accident. They dealt with my insurance company and took care of all the details. My car looks like new again. My entire family, friends too, use Eastern Ave. Auto Body. They really care about doing the job right and making sure your completely satisfied. Give them a try. Highly recommended! WHY CHOOSE EASTERN AVE AUTO BODY? We are the premier auto body repair facility on the North Shore. All services are performed by highly qualified professionals to ensure that your car is restored to its original appraised value. Over the last 40 years and counting, our customers have always praised our attention to detail and our commitment to their complete satisfaction. We have invested in all the latest auto body tools and techniques. We are trained to get your vehicle back to it’s factory original condition. We have a professional team, which will work directly with your insurance company to help you process your claim quickly.